Optimise learning. Help to develop critical thinking and decision making skills to aid career choice. Decrease task complexity. Make thinking easier by breaking down complex problems into things that the individual is able to cope with. Accommodate cognitive diversity. Don’t take a one-size-fits-all approach. Try to tailor the decision making to the strengths and weaknesses of individuals. Optimise experience. Encourage people to get involved in experiences that help them to learn more about themselves. Provide broad menus of potential experiences. Expose people to a wider range of potential options and activities in order to compensate for limitations of exposure in their background. Promote self agency in shaping experiences. Encourage people to experiment with their experiences and to choose experiences that help them to discover new things about themselves rather than just relying on chance. Promote sound conception of a fitting and feasible career-life. Getting people to think beyond just fitting personal interests to career activities. Encouraging engagement with social structures. Thinking about wider issues related to the interaction between life and career. Optimise self-investment. Enabling people to realistically assess their chances and know how to increase their probabilities of success. Facilitate appraisal of accessibility. Helping people to know how much effort to put into investigating the likelihood of getting into a preferred occupation. Promote sef-agency in enhancing self, opportunity and support. Giving people an understanding of how to boost their skills, their probability of success and their social networks. To me, that sounds like a pretty good strategy for careers guidance and education — exactly what career theory should enable you to think about. Are all of the above recommendations part of your careers strategy? How often do you investigate clients’ reasons for eliminating options? How often do you investigate clients’ career blind spots — options they have ruled out early in their lives because of unconscious filtering? How often do you examine the nature of compromise in your clients? 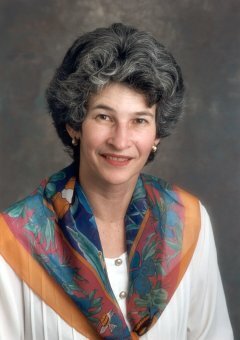 Read some of Linda Gottfredson’s publications on Circumscription and Compromise. See our quick summary of Circumscription and Compromise with hints for applying the theory in practice. This entry was posted on 19 October 2009, 09:00 and is filed under Career choice, Classic theories, Cycles, Decision making, Fit, Inheritance, Socio-economic factors. You can follow any responses to this entry through RSS 2.0. You can leave a response, or trackback from your own site.